Coloring letters enable child's creativity and let him take an initiative for choosing colors for each alphabetic character. Color each letter or make an outline using play dough. Learning what fall word starts with this letter. Trace each letter. 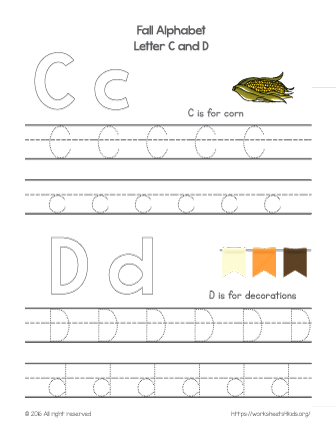 This worksheet will increase your child's vocabulary and improve fine motor skills.